EMIRATES THE world’s largest international airline, has introduced an additional Airbus A380 services to Johannesburg (O.R. Tambo International Airport), effective 1 December, replacing the previous Boeing 777 aircraft on the route. Local is mos lekker thanks to Emirates. EK762 (JNB-DXB) and EK761 (DXB-JNB) is now served by the flagship A380 aircraft. Upcoming festive season travel between the two global transit hubs is expected to be especially strong, building on over 700,000 customers who flew with the airline before November. With Emirates, customers from Johannesburg can enjoy a seamless A380 experience to their most popular destinations via Dubai, including London, Moscow, New York and Bangkok. All four daily Emirates flights between Johannesburg and Dubai operate as codeshare flights with partner South African Airways. 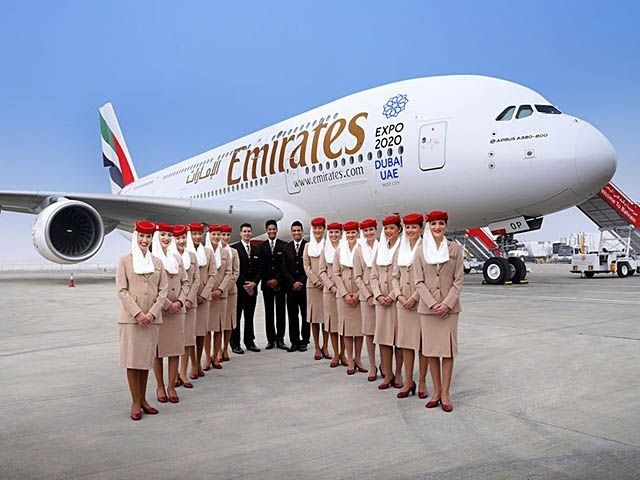 Emirates operates the world’s largest fleet of Airbus A380s, with 106 of the aircraft currently in service and 56 pending delivery in this, the tenth year of Emirates’ A380 operations. The deployment of the double-decker aircraft on routes to and from South Africa gives even more regional travellers the chance to experience the aircraft’s industry-leading comforts. These include private suites and Shower Spas in its First-Class cabin, while Business Class customers can enjoy the popular onboard lounge and lie-flat beds. In addition, Emirates’ commitment to showcasing wine producers from all over the globe means that some of the South African wineries served on board its flights include Ken Forrester, Porseleinberg, Klein Constantia, Waterkloof and Boekenhoutskloof as well as iconic Amarula liqueur.